Mid-week. Cooler weather is warming up a bit. I am missing my morning walk with the dogs. It isn't the same in the late afternoon-plus so much more traffic. Work is keeping me busy. My body has adjusted to the school routine. But its still hard to get up in the dark before 5 AM every morning. Life has thrown another hardball in my direction and I am trying to keep it in my glove. 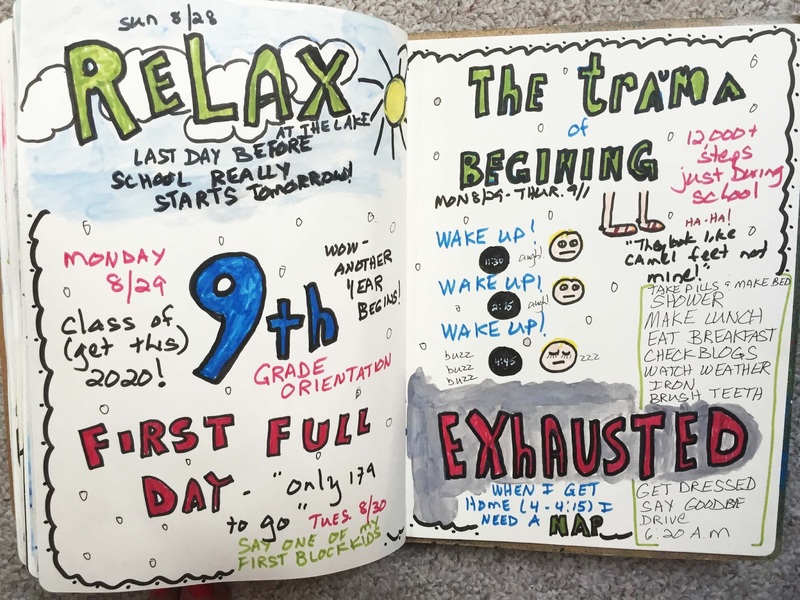 Here's a couple of doodle pages from my summer journal. 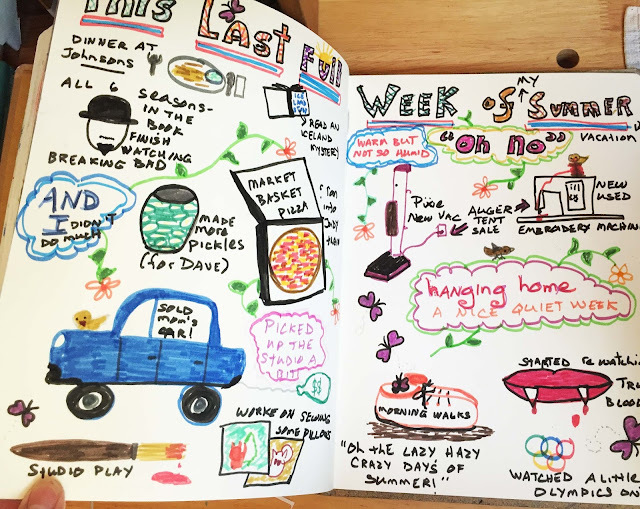 Since the top page is about my first week back to school and the last page is about the last week of my summer vacation before school began, and since this month's theme at Art Journal Journey is back to school (Thanks for a great theme Elizabeth), I am linking up. And I have been reading up a storm lately. I am in one of those"I can't get enough reading time" modes lately. And I am loving a good mystery. Still on my Roosevelt kick from when I went and visited their homes back in August. And I read this before I put my Iceland trip to bed. And I love this author. 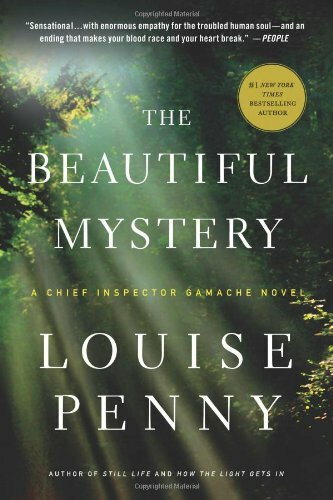 Louise Penny is not only a good storyteller but a good writer also. And her character Inspector Gamanche, he sounds like someone I would love to meet. Maybe not a hottie but certainly a man who makes a woman happy. Guess that is my life right now. My September song so to speak. I LOVE these two doodle pages. Summer is truly gone, isn't it? But I am still in awe of that sewing machine you got. What a wonderful addition to your craft area. Now all you have to do is put down those pillows and pick up some paper to sew (grin). Orientation Day! I had forgotten about that, because we didn't have that when I was in school. It's a great theme, though. I love that you are counting down already for next summer's vacation. Speaking of Presidents and their children, have you ever read anything by Margaret Truman? 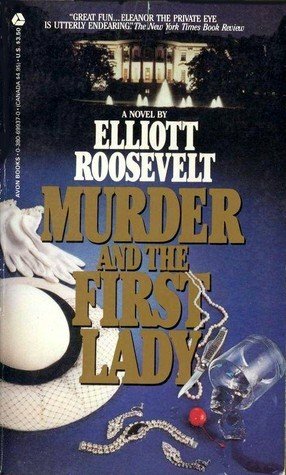 She was the daughter of President Truman and wrote mysteries like "Murder in the White House," Murder on Capitol Hill," etc. There were about 20 or so and they were all set around Washington DC. I have read a bunch of them, and if you like mysteries, you will love these. Again, love your doodle pages for AJJ today. I just discovered Louise Penny after many recommendations from friends. I'm on the second book and have two more in the queue. And the Roosevelt mystery sounds fun. I love mysteries most of any genre. Here's one for you -- "The Couple Next Door." I couldn't put it down! 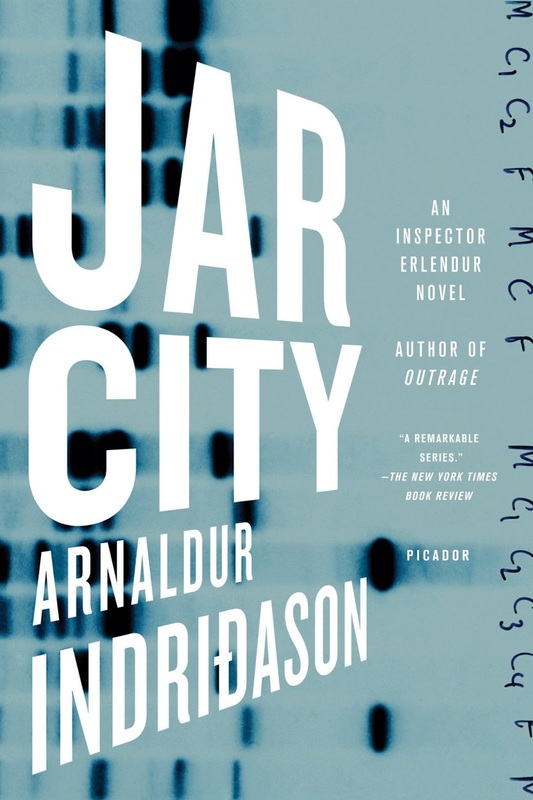 I enjoy reading mysteries but haven't read anything by either of those 2 mystery/detective authors. I'll be looking for them now :) Thx for the recommendation! Twp wonderful journal spreads, you always add so much detail and interest to your pages.